I can't believe how long it has taken me to write a review of the Crusty Pie Company. I would say they were one of the first gourmet pie companies I ever came across due to regularly attending Henley Show where they normally seem to have a stall. 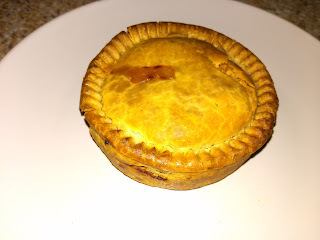 They stood out to me due to marketing their pies with modern, upmarket branding rather than promoting the pie simply as a traditional product. Nowadays there are plenty of gourmet pies to choose from so how would Crusty Pies fare against the new competition? Some of my family attended the most recent show and I was lucky enough to be brought back a Wild Boar & Mushroom pie. I was looking forward to it having had a few wild boar pies over the years including some very good ones. (With a great version by Plenty reviewed just last week!) This pie was £3.50 so about average for a good sized, individual pie.... as long as it is a top quality one! This pie stood out in that it was more like a traditional pork pie but I think it was designed to have hot (or at least that's what I did). It had a classic pork pie appearance, nothing special but it looked pleasingly robust and also promised to hold quite a lot of filling. I couldn't wait to get started, digging my knife in I found it was hot-water crust pastry so it was crusty by name and crusty by nature. It had the thick crunchy pasty that you would expect a pork pie to have. Having been heated the pastry was nice and soft in the middle which provided a great contrast in texture to the crunchy outside. So far so good, but would they be able to fill the pie with delicious content or would they need to cut corners given that wild boar is a more expensive meat choice? I need not have doubted, the content was delicious despite the choice of ground meat. It was very well seasoned and was moist even though there wasn't any gravy (similar to a good Scotch Pie). What really stood out with this pie was that it was extremely satisfying, it normally takes a lot of pie to satisfy me but this one managed it on it's own. 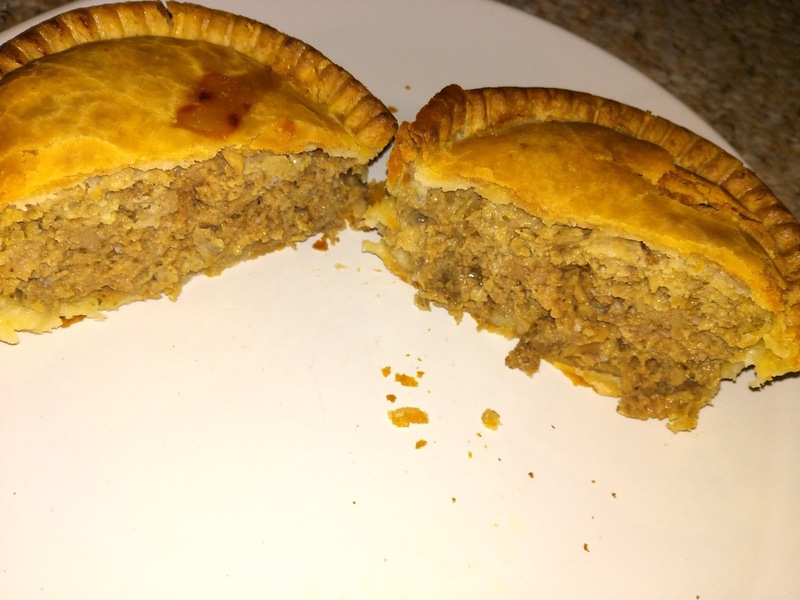 I didn't find many downsides with this pie but one criticism I would give was that some of the meat was chewy despite it being in very small pieces. This did make me think that it might not have been the finest cuts of meat used, but hey, if it tastes good and is well filled I can't complain too much! Overall I can see why the Crusty Pie Company have been going for a while now. They really earn their crust with services to pie! Now their work is finally being recognised with the 'Pierate Recommended' award that they deserve.